We provide a range of group classes as well as short targeted courses. All training is held at an indoor venue in Clitheroe. Woofington Grammar School for Dogs are proud to offer Skill Levels training. This is a progressive system of training which provides flexibility and choice for dog owners. It focuses on working at you and your dog’s pace. There are no traditional 6-week courses. Once one level is achieved, dogs move up to the next class. All training is paid up front in blocks of 6 sessions or ‘credits’. You can attend as often as you like using a credit each time. Each attendance is recorded so you can keep a track on your credits used. Going on holiday, dog in season? With a set class, you miss part of the course. With Skill Levels training, just restart where you left off. Your credits are still valid so you don’t lose out. Only reward-based methods are used to train and support owners and dogs. Marie believes training should be practical, easy to learn and enjoyable for both dogs and people. The main aim is to teach owners and their dogs how to develop their relationship and bond through training. All training classes last for 45 minutes and classes are no larger than 8 dogs per class so that you and your dog have the space to learn and ask questions. Small classes means Marie can offer individual attention to all class attendees. All classes will use clicker training as part of the learning process for you and your dog. Marie has been fully trained in agility by Kim Hunt, who is a leading dog agility competitor, instructor and judge. Marie has attended the ‘pre-agility’, ‘introduction to equipment’ and ‘handling skills’ courses. These courses are targeted at competent professional dog trainers. Agility is often seen as the most fun of all dog sports. It tests the dog’s fitness and the handler’s ability to train and direct their dogs over and through obstacles. Beginners and intermediate courses are available. 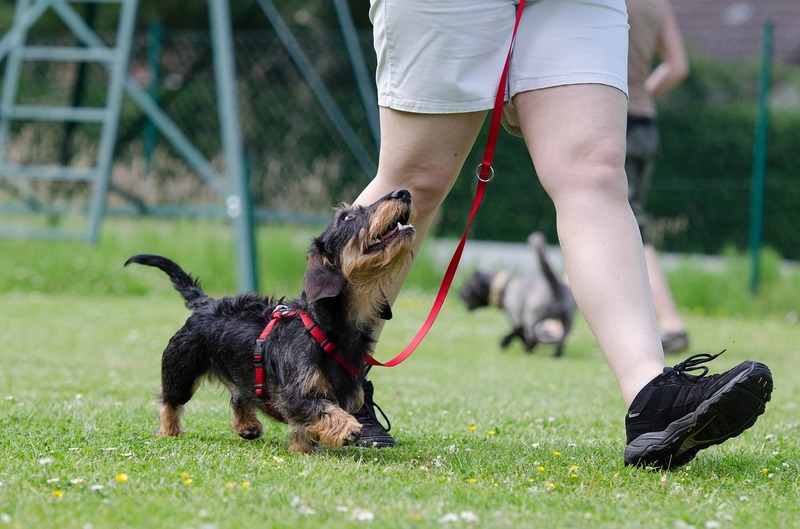 Your dog will require a reasonable standard of obedience before attending the course as a high degree of self-control is required. Your dog should be comfortable in a class environment and be able to sit, stay and recall off-lead. It is preferable that veterinary advice is sought prior to attendance to give your dog a clean bill of health. If your dog has fear or aggression issues towards other dogs or people, a class environment may not be suitable. Please let us know if this is the case and we can organise a one to one training session.